Anibal Rodriguez De Souza, 73, was interned at the Colonia Antonio Aleixo leprosarium in Manaus, Brazil in 1948 when he was just 9-years-old. When he finally left in 1974, he managed to find work in sales, married and had three children. 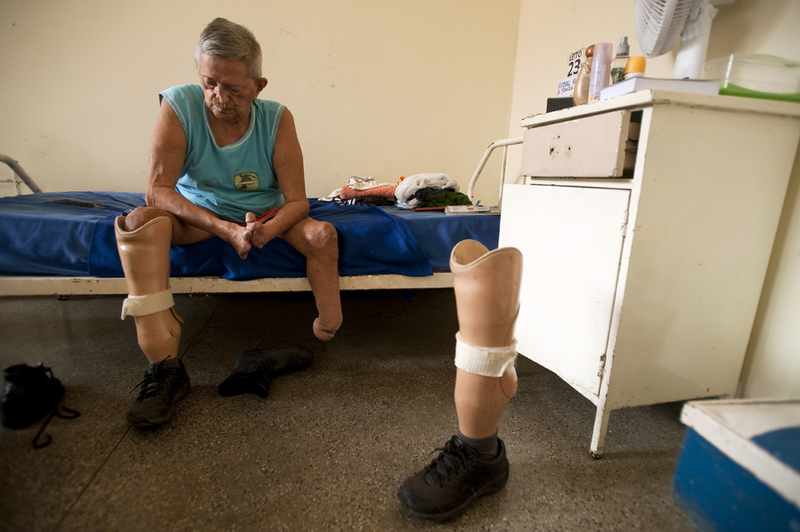 Pictured, he rests on his bed in the leprosarium, returning for two months of treatment.